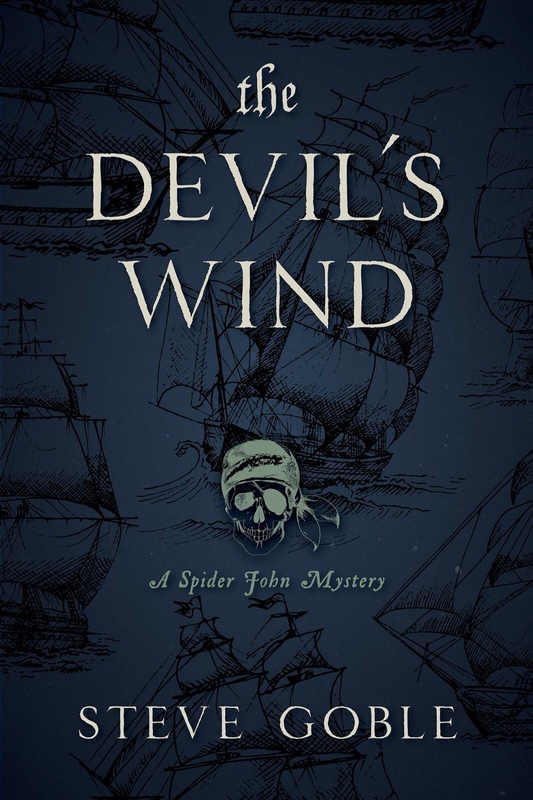 Are you ready to sail “The Devil’s Wind” with Spider John? If you just can’t wait to read another Spider John novel, I have good news for you: You can pre-order the next one right now. “The Devil’s Wind: A Spider John Mystery” is scheduled for release in print and ebook formats on Sept. 11, but you can order now. I am really happy with this one. I think it has a better plot, a better cast of characters and a better mystery at its core. Spider is back, of course, as are his friends Hob and Odin. I like the supporting characters in this one, too: A vengeful dwarf. Dueling theologians. A redhead who hides guns under her skirt. A grieving captain. A sadistic and menacing pirate. A young beauty who has turned more than one head aboard Redemption. A former slave, very protective of that beauty. And the mystery itself? A locked-room murder, aboard a ship. Spider has a good deal more traditional sleuthing to do in this adventure, along with all the dodging of musket balls and swinging of cutlasses. I thoroughly enjoyed The Bloody Black Flag, but I won’t buy The Devil’s Wind. I don’t do series, sequels, or prequels. I want authors to brew up something new, not to make new infusion of the same essence over and over again. I just wanted to let you know, because – how would you know that and why you lost a reader otherwise? I would have bought a different, fresh book from you. I’m not going to buy a succession of Spider Johns. Your money, your choice, of course. I want other readers to know, however, I tried hard to give Spider’s second adventure a rather different feel, and I think I achieved that. Also, I think “The Devil’s Wind” is better.